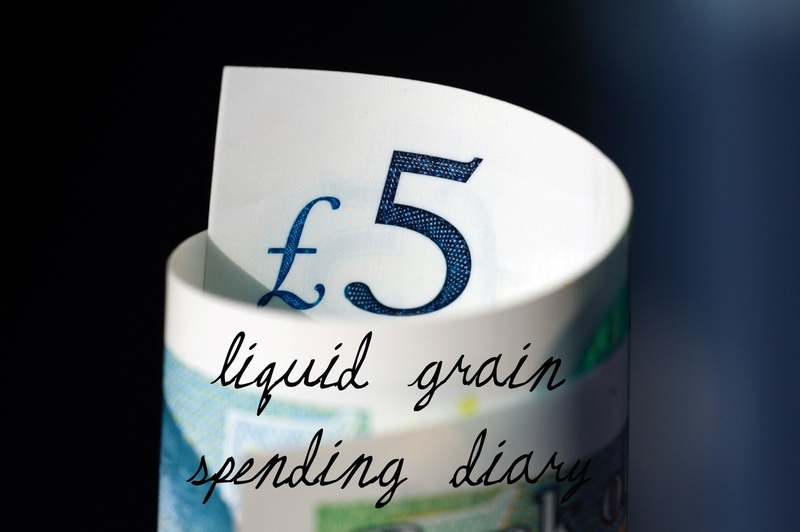 And remember if you want to contribute to a spending diary (named or anonymously) please get in touch! I'm working from Cambridge today so out and about and not many chances to spend money - luckily! However when I get home I realise I need some more tights for work and buy a few of these from ASOS with next day delivery - £12.80 with my student discount. Another day out and about today - in London so the first spend of the day is parking at the train station - £6.10 although I can claim it back. My oyster card has cash on it so no cash withdrawals needed to get me to the office. At lunch time I pat myself on the back for bringing a salad from home so I manage to resist my usual London sushi. I get home pretty late but manage to not spend anything else for the day. No day to day spends today, however when I get home I'm tempted by this Rodial giftset on ASOS when I'm trying to buy some more body moisturiser - £86.39 with my student discount. I'm in the office today and it's nice to finally be local for the day. When I get home I realise that Hetty is almost out of her fancy pants dog food, so I order some on Amazon - while I'm there I spot some fancy pants treats as well - £28.24 on the princess. It's been a massive week for me - working in five different locations in five days with a lot of travelling so I'm knackered and just want a takeaway for dinner although there is food in the house. I cave and get a satisfying Indian for £17.70. I'm also almost out of cotton wool pads, so I put in another quick Amazon order for £5.49. I go to the new Westgate shopping centre for the first time in Oxford, since it's only a quick visit it's cheaper and easier to use their underground parking - £3 for an hour. Upstairs I spot that Joules is having a sale (when are they not?) and I pop in, I see a nice jumper with embroidery around the collar - I buy one for me and one for Mum because now that we don't live in the same country we can have matching clothes - £59.90. Then I go to Jo Malone, where I was aiming for in the first place. I've been meaning to check out their English Fields collection for a few weeks but unfortunately I've missed it and they are now on their new blossom release. I give it a go and quite like the plum option but it's not my favourite so I decide to ask an assistant if they have any English Fields scent left. I'm in luck and there's still a couple of options hidden in their secret stash - I try them out and go for the Primrose & Rye cologne. While I'm there I also pick up a big bottle of my usual Blackberry & Bay - £137 in total. It's another amazingly sunny day today, so I'm just relaxing about the house and getting some chores done which means I don't spend anything.